Sydney Bathroom Hire now has amazing and well presented Luxury Portable Bathrooms for hire throughout Sydney and Australia. Our "Bathroom on Wheels" as there referred to are a trailer based bathroom that can be used for all occasions such as Weddings, Parties, Bathroom Renovation, Corporate Events the list is endless. The bathroom is unique as no waste is stored within the bathroom, it's all pumped out via our macerator system directly into the mains sewer system or septic tank. All that is required for the "Bathroom on Wheels" to work is a power point, garden tap and sewer connection. All these can be found around the home. Sydney Bathroom Hire has teamed up with like minded professionals who also own the Luxury Portable Bathrooms to offer an Australia wide service. We have contacts in Queensland, New South Wales, Melbourne, South Australia, Darwin and Western Australia. We also have more products under design that are due for release later this year. 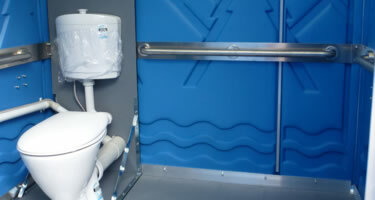 Sydney Bathroom Hire "For all your portable bathroom solutions". Our Luxury Portable Showers are used for bathroom renovations, camping ground and outdoor events.